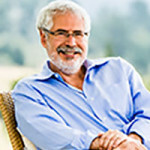 A retired eight-time serial entrepreneur-turned-educator and author, Steve Blank has changed how startups are built and how entrepreneurship is taught around the globe. He is author of the bestselling The Startup Owner’s Manual, and his earlier seminal work, The Four Steps to the Epiphany, credited with launching the Lean Startup movement. His May 2013 Harvard BusinessReview article on the Lean Startup defined the movement. Steve is widely recognized as a thought leader on startups and innovation. His books and blog have redefined how to build successful startups; his Lean LaunchPad class at Stanford, Berkeley and Columbia has redefined how entrepreneurship is taught; and his Innovation Corps class for the National Science Foundation forever changed how the U.S. commercializes science. His articles regularly appear in The Wall Street Journal, Forbes,Fortune, The Atlantic and Huffington Post. Blank’s first book, The Four Steps to the Epiphany (2003), offered the insight that startups are not small versions of large companies – large companies execute business models, but startups search for them – and led him to realize that startups need their own tools, different from those used to manage existing companies. In 2011, Blank developed the Lean LaunchPad, a hands—on class that integrates Business Model design and Customer Development into practice through rapid, real—world customer interaction and business model iteration. In 2011, the National Science Foundation adopted Blank’s class for its Innovation Corps (I—Corps), training teams of the nation’s top scientists and engineers to take their ideas out of the university lab and into the commercial marketplace. In 2009, he earned the Stanford University Undergraduate Teaching Award in Management Science and Engineering. In 2010, he earned the Earl F. Cheit Outstanding Teaching Award at U.C. Berkeley Haas School of Business. The San Jose Mercury News listed him as one of the 10 Influencers in Silicon Valley. Harvard Business Review named him one of 12 Masters of Innovation. On Innovation Navigation, Blank discussed the Lean Startup Movement. He talked about his personal experiences that led to defining the Lean Startup Approach. He explained that startups are looking for business models that are repeatable and scalable, and in order to find these, they must treat their assumptions about the business plan as hypotheses and follow the “4 steps to the discovery:” Customer discovery, customer validation, customer creation, and finally, comany building.